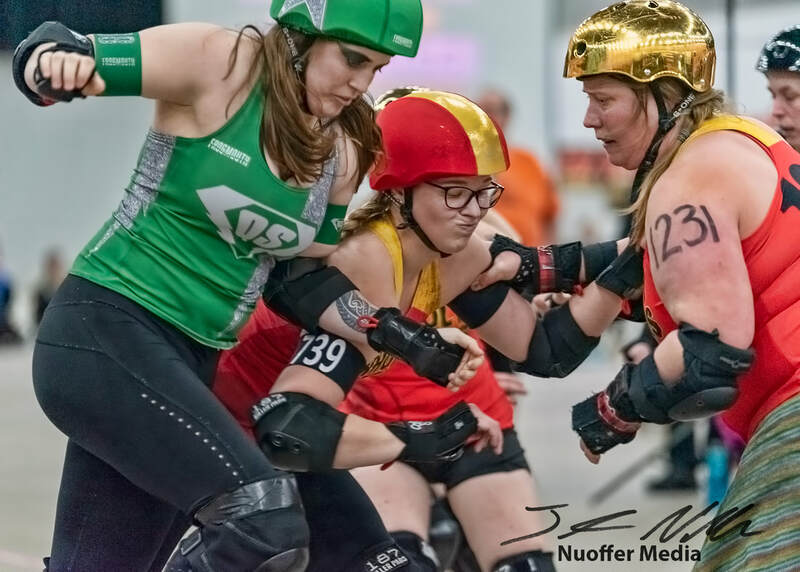 Madison Roller Derby (MRD) requires all media representatives and freelance photographers to obtain a media pass prior to photographing a bout. SLR and DSLR cameras are not permitted on the venue floor without a media pass, though you may use these types of cameras from the stands. 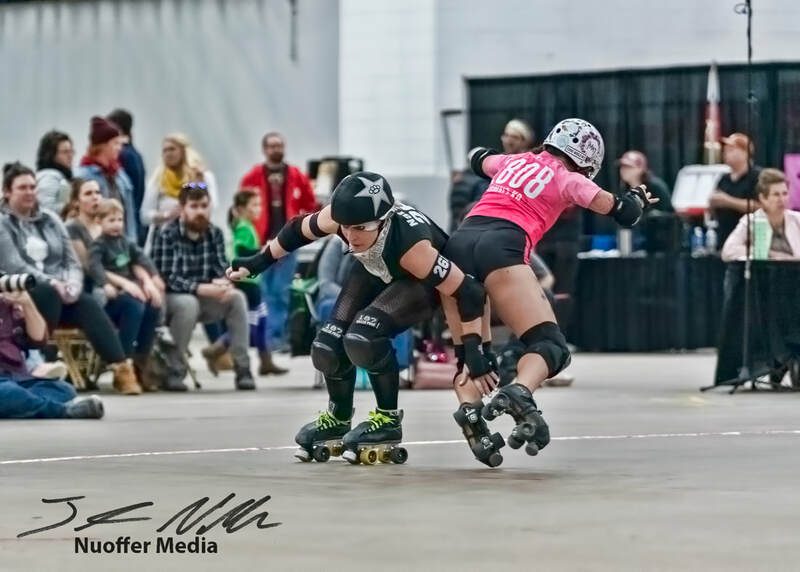 Recording bout video footage from any vantage point is strictly prohibited without express consent from the Madison Roller Derby Public Relations (PR) Coordinator. Requests for media passes should be submitted to the PR Coordinator no later than 5:00 pm the day before a scheduled game. A PR representative will confirm your request by 10:00 am the day of the game. MRD reserves the right to deny game-day requests for media passes. Tripods and monopods are permitted only in special circumstances and only with prior approval. If you would like to use a tripod or monopod, contact the PR Coordinator at least three days before the scheduled game. The Coordinator or another PR representative will contact you no later than 24 hours before the scheduled game to let you know whether your request is granted. 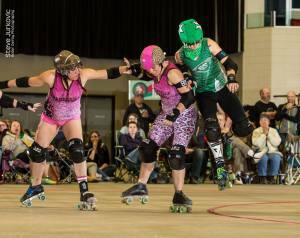 Madison Roller Derby retains all sales rights to images of the league’s activities and members. Photos, videos, and audio may be used in conjunction with media coverage by newspapers, magazines, news/journalism websites and broadcast TV/radio stations. Please clear any other use of MRD’s images (including non-journalism websites) with the PR Coordinator. The track boundaries are there your safety and the safety of skaters and officials. You are required to stay outside the barrier tape at all times. To obtain access to the center of the track or other areas inside the barrier tape, contact the PR Coordinator at least three days before the scheduled game. The PR Coordinator will contact you no later than 24 hours before the scheduled game to inform you whether your request is granted. If a member of MRD or Alliant security personnel asks you to move from an area, you are required to do so at once. It is your responsibility to be aware of your surroundings and the game activities at all times. Do not turn your back to the game if you are within 10 feet of the outermost tape boundary around the track. Madison Roller Derby is not responsible for damage to your equipment or injury to your person. We love media coverage of our awesome sport and league. Any media outlet wanting to interview a member or members of the league should feel free to reach out to the PR Coordinator and we will gladly help set up whatever you need for your story. For a general overview of our league, the sport, as well as media ready photos and other resources, please download our official media kit (last updated Jan. 2019).